Longchamp's Le Pliage bag is an icon with timeless appeal. I see them everywhere and I always think they look perfectly polished. So much so, in fact, that I never really considered buying one for myself - they just looked too grown up. But it turns out the travel-sized version is the best purchase I've made in a long time - and I'm definitely picking up a few more as Christmas presents this year. I bought the second to largest size, which is just right for a weekend away, but the magic thing about it is that it folds to the dimensions of a large wallet, so it's perfect for tucking in your suitcase for any unexpected purchases when you go on holiday. This is where things are going to get a little embarrassing when I show you what we used mine for! While we were in Malaysia, we took a quick one night trip to Singapore to see my cousins and meet my new baby niece. But the thing my boyfriend was most excited about? The Japanese mall that our hotel was attached to. 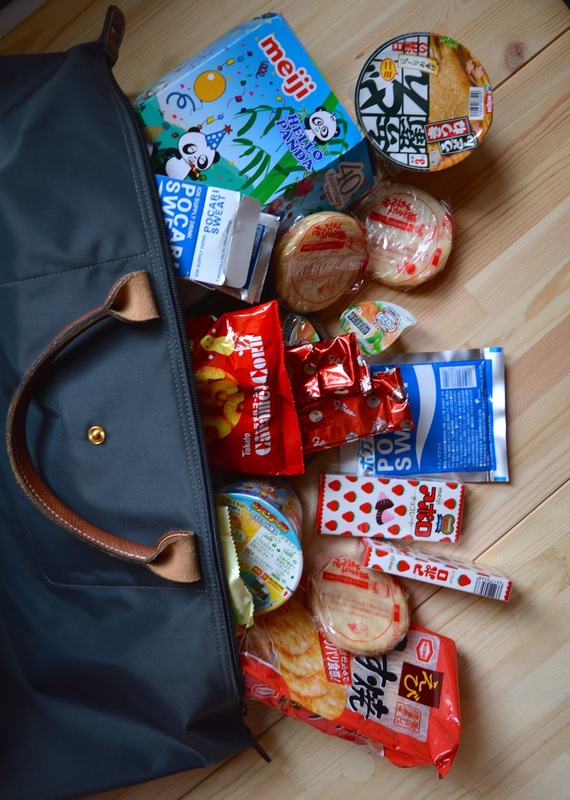 We came back with a whole carryall of Japanese snacks, which was a little awkward going through customs, but totally worth it! I have a feeling me and this little bag are going to get along juuust fine. I love Longchamp's Le Pliage bags, too! :) I use them for work and for when I go to the malls or meet up with friends in a restaurant or coffeeshop. They are not only pretty but sturdy, too. Those Japanese snacks look so good! Lol.